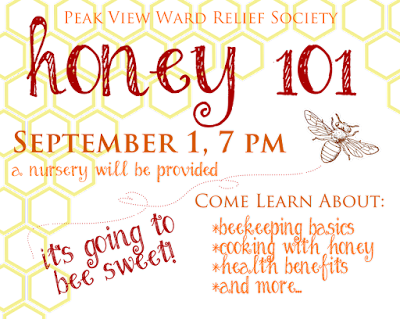 We are so lucky to know have some beekeepers in our Ward. 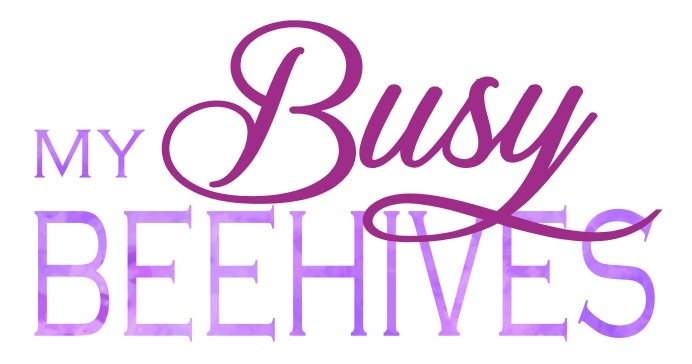 They are coming to our Relief Society activity this week to teach us all about beekeeping. 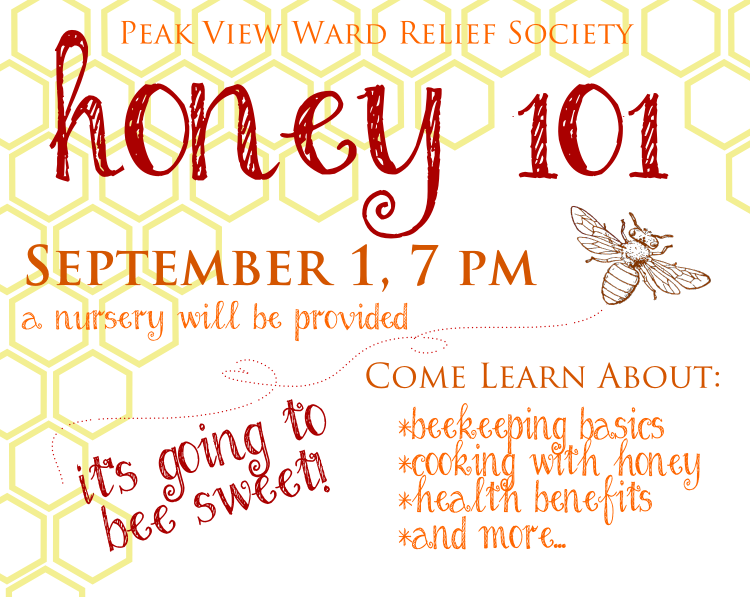 We are going to learn the health benefits of honey and how to cook with it also. It is sure to BEE great!